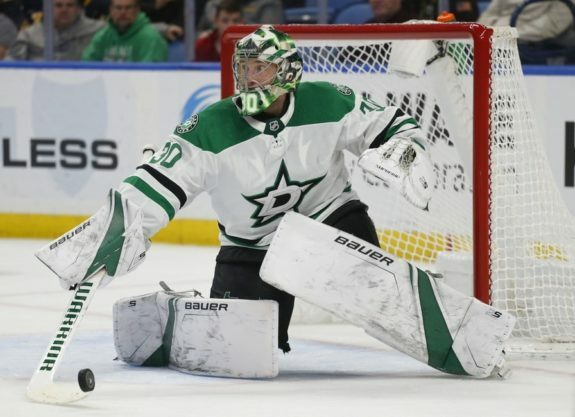 Not only has goalie Ben Bishop returned to form for the Dallas Stars, but he’s arguably reached another level in his play. Despite the fact the netminder is 32 and was thought to be on the decline following two statistically sub-par seasons (for him), he’s instead hit new heights. That’s both personally with a .934 save percentage and from the perspective of the franchise that many had assumed had foolishly entrusted the future of their crease to him. Ultimately, Bishop has rewarded the Stars for the six-year deal they signed him to with a record-breaking season. Not only did Bishop beat Marty Turco’s .932 save percentage (2002-03), but he also set a new franchise-best shutout streak of 233:04. In effect, one season after Predators goalie Pekka Rinne captured the Vezina Trophy, Bishop has thrust himself into the conversation for the award himself. While that would theoretically put the two teams on equal footing in terms of goaltending, Rinne’s stumbled somewhat in 2018-19. Rinne’s had far from a bad season (30-19-4 with a 2.42 goals-against average and .918 save percentage). In fact, those are eerily similar numbers to his stats line from 2016-17, when he led the Predators to the Stanley Cup Final, but he is now two years older at 36. Bishop’s as good of a reason as any other as to why Rinne shouldn’t be able to replicate that run. Granted, there had been concern Bishop had injured himself last month in the middle of setting that shutout record against the Minnesota Wild. All he did was respond by going 3-1 down the stretch with a .950 save percentage and another shutout in the final game of the season, also against the Wild. Needless to say, he’s in top form. Where he goes, so will the Stars. The Predators’ power play is awful, statistically. That’s no exaggeration, either. It was the worst in the regular season (12.8%). Compared to the Stars’ man advantage, well, there just isn’t a comparison (21.0%). In contrast, the Predators’ penalty killing was admittedly top-notch (82.1%) and ranked sixth in the league, but the Stars’ was fifth-best (82.8%). Those figures were somewhat reflected during the two teams’ five meetings this season, in which the Stars earned a 2-1-2 record. The Stars went 2-11 (18.2%) on the man advantage. The Predators meanwhile went a pitiful 1-15 (6.7%). Sure, it’s a small sample size and anything can happen over the course of a single series, but that argument kind of loses weight when the Predators’ have had all season to correct what ails their power play and, if they haven’t yet, it’s unlikely they will by the time Game 1 rolls around on Wednesday night. The fact of the matter is weak power plays cost you wins. Hypothetically, had the Predators’ had a man advantage on par with the Stars’, they’d have scored over 20 more goals this season. 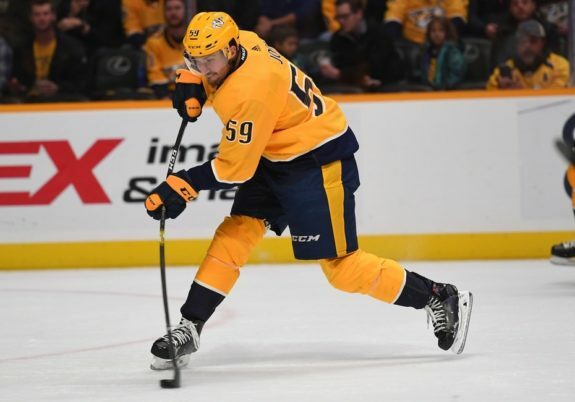 Considering the Predators lost 10 one-goal games, the power play may not have cost them the Central obviously, but it could have made the difference in the race for the regular-season Western Conference championship, which the Calgary Flames took by seven points. In such a hypothetical scenario, we’d be talking about a completely different first-round matchup for the Stars. That may only mean that the Predators as a whole are so strong that they theoretically could have won the Western Conference were it not for their power play. It’s also impressive that they were still able to overcome that deficiency to win the Central. Still, you have to look at the big picture when assessing a team’s chances. It doesn’t look as pretty for the Predators as you’d think. No, it’s not just a matter of the addition of Mats Zuccarello, who’s back from a broken arm and now has three points in two games with the Stars. Nor is this a reference to the team as a whole being relatively healthy after a season to forget from an injury perspective. 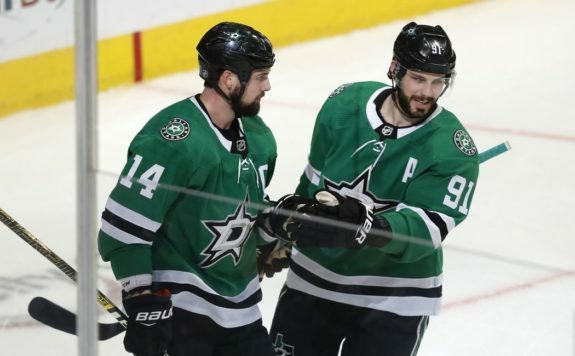 Truth be told, it’s been a tale of two seasons for the Stars: Before and after Stars CEO Jim Lites ripped Jamie Benn and Tyler Seguin. Before the supposedly ill-advised outburst, the Stars were 19-16-3. Since then, they’re 24-16-4, with Seguin specifically scoring 48 points over that span (44 games). Considering he finished with just 80 overall, Lites may have actually lit a fire under him. That may be beside the point though, because overall the seven-point advantage the Predators have over the Stars is a bit of an illusion. Not only would the Stars’ “second” half of the season have put them on a 97-point pace (instead of the 93 they finished with), but, over that same 44-game stretch, the Predators went 25-15-4, meaning they’re arguably one win better. That’s all. Of course, you would have to take into consideration how the Predators have home-ice. They also have a deeper defense and more firepower up front. There’s little debating that, but the notion that the Stars are at a serious disadvantage here is flawed to say the least. If a single victory is all that separates them from the Predators, it’s the perfect opportunity for them to even the score.